Here is the link to an article I recently wrote for the Humanising Language Teaching Magazine. The article is an extended version of “Art and creative thinking workshop: looking back”, a previous post in this blog. 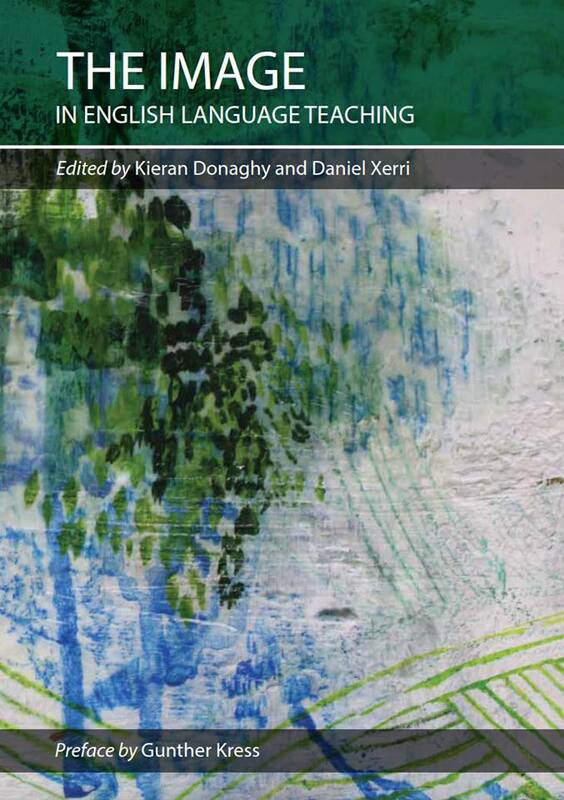 Edited by Kieran Donaghy and Daniel Xerri, The Image in English Language Teaching is the first publication of the Visual Arts Circle, a community of teachers with interests in visual literacy and language learning. It is a groundbreaking book whose diverse papers reflect on the multi-dimensional role of images in teaching and learning in an increasingly visual and complex world. The papers in the book were presented at different editions of The Image Conference whose aims are to put images at the centre of the language learning agenda, offer guidance on using them critically and creatively, and to promote visual literacy in language education. There are contributions by members of the Visual Arts Circle such as Ben Goldstein, Anna Whitcher, Antonia Clare, Paul Driver, Sylvia Karasthati, Paul Dummett, Magdalena Wasilewska, Andreia Zakime,Elena Domínguez Romero, Jelena Bobkina, Candy Fresacher, Tyson Seburn, Magdalena Brzezinska, Emma Louise Pratt, Samantha Lewis, Jean Theuma, Valéria Benévolo França, and myself. The book includes a preface by Gunther Kress, Professor of Semiotics and Education in the Department of Culture, Communication and Media within the Institute of Education of University College London. My paper, “Images on canvas: art, thinking and creativity in ELT” draws on my presentation at the third edition of the Image Conference in Cordoba, Spain, and is about how exposing students to paintings can serve to structure their thinking and enhance their writing skills. 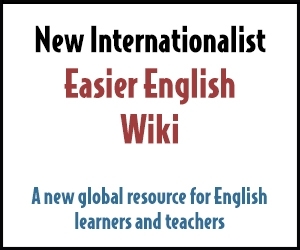 The book is available by open access thanks to the support of the ELT Council and can be downloaded from the Visual Arts Circle website. 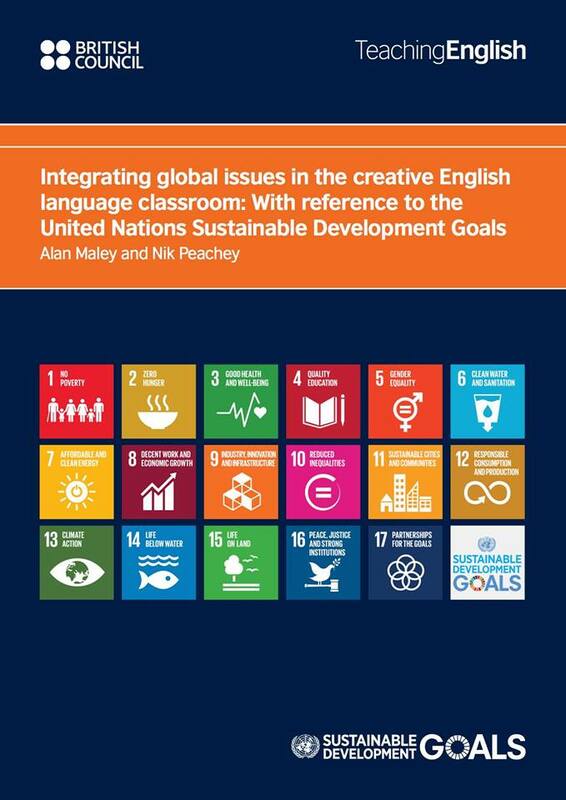 Edited by Alan Maley and Nik Peachey, the Integrating global issues in the creative English language classroom book is a British Council publication that aims at bringing together practical and creative language teaching ideas with a focus on raising awareness of the 17 United Nations Sustainable Development Goals. My contribution is on Sustainable Development Goal 15: Protect, restore and promote sustainable use of terrestrial ecosystems. It explores in particular the issue of deforestation through a series of activities that utilize artful visual prompts and aim at having students appreciate the value of forests, the diversity of life in rainforests and raising awareness of the role of palm oil in deforestation and Orangutan extinction. The book is a follow-up to the first volume on Creativity in the English language classroom where I was also also happy to be a part of.